Every career focused professional deserves individual treatment and no less - particularly in today's complex recruitment process. Executive careers by design...not chance! ACMA assists executives throughout Australia by providing professional, one-on-one advice and guidance through a job market that consists of 25% advertised positions and the elusive 75% "hidden job market". If you are an executive entering the job market, your goal might be to wind-up in a recruiter's résumé database..not so now in the second decade in the 21st century. Now it's all about STRATEGY, industry research, economic trends, understanding your "value to the market", personal branding and making new connections that will get you in the door, plus actively managing and utilising social media. Our "Accelerated Executive Career Transition" program (FAST, EFFICIENT & EFFECTIVE) is strategic and delivers the best platform through which to gain the "right" placement for you via our structured methodologies and unique corporate target marketing techniques, plus developing and promoting your personal brand and all important online digital and social media profile/image. We are a results-driven career management practice with superior knowledge of the national job market and related technologies, plus established Australia/NZ wide business network connections...let ACMA assist you through this maze. Our service is personalised to meet your specific needs and we intensively case manage your career change to ensure a smooth transition, ultimately providing only quality appointments. The ACMA business model operates regardless of location, occupation or economic cycle so you can leave the details to us and focus on the end result. 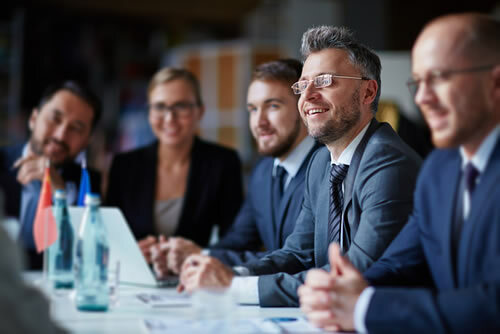 Embarking on an executive career transition can involve exposing yourself to certain risks, including your activities being discovered by your current employer. Let ACMA show you ways to shield yourself from being found out by using specific methods to protect your privacy and thereby minimise your risk. Speak to Australia's leading executive career management consultant who understands your needs from aspiring middle managers and "C level" executives, through to Board appointments. Develop a success strategy for career growth and earnings increases at any executive level! If you are serious about maximising your career opportunities, and you're looking for an authoritative approach, then contact us. EXPATRIATE EXECUTIVES (and their families) worldwide can confidently arrange their career transition back to Australia using the exclusive ACMA online career management system, whilst at all stages being carefully managed by an experienced Australian based executive career management consultant. EXECUTIVE RESUME WRITING SERVICE have your CV skillifully crafted by one of Australia's leading executive resume writers to ensure a highly professional and targeted presentation. EXECUTIVE SUMMARY/BIOGRAPHY a one page "knock out" professional presentation document designed to concisely outline your value to the market. DETAILED ACTION PLAN managing every step of your job search including weekly reviews. PERSONAL BRANDING your percieved value-add proposition that you present to a company implies a promise. A promise that you will bring something to the table that will significantly contribute to their organisation. You must prove that your unique "brand" will contribute more to the company than the brand being presented by your competition. Your ability to communicate your brand, verbally and in writing, will drive your success in conducting an effective job search. LINKEDIN PROFILE BUILDER...we assist you to fully develop and utilise your LinkedIn profile to maximise your potential value from this important online resource, involving a keyword-rich online profile that demonstrates not only what you've accomplished, but what you can offer future employers. EXECUTIVE INTERVIEW TRAINING intensive preparation, refining and practising your interview skills will give you a clear advantage over all other candidates (also includes salary and packaging negotiation assistance). EXECUTIVE CAREER PLAN will provide you with a firm direction over the next 1-2 and/or 3-5 years. Plan to succeed...success is not an accident...make it happen for you. Plus, access to retraining and/or upskilling options throughout Australia. EXECUTIVE CAREER ASSESSMENT not sure what your next career move should be? Like to discover the pathway to maximise your career opportunities...we will provide you with a written report and vision for your future, plus retraining or upskilling options. EXECUTIVE NETWORK COACHING short on networking skills, not being head hunted or missing out on unadvertised jobs? Find out the secrets of good networkers and start building your connections and career today (and for TOMORROW). EXECUTIVE MARKETING PORTFOLIO a good CV and supporting documents are only part of your presentation, so get the edge on other candidates with a professional portfolio that highlights your career achievements, special qualities,competencies and clearly defined value to the market. EXECUTIVE CAREER POSITIONING STRATEGY positioning strategies vary widely between individuals seeking employment in the same field, those who are seeking a career change, or those who are looking for upward career movement. Each strategy requires an understanding of the past and a vision of the future. Your career management consultant will work with you to develop a clear understanding of both. EXECUTIVE SALARY PACKAGING obtaining the best possible salary package often depends more on attitude and negotiation prowess rather than your professional skills and expertise. Our executive salary negotiation program is designed to ensure that you achieve the best possible remuneration outcomes (whether you are a C Level executive or simply a rising star). EXECUTIVE PSYCHOMETRIC TEST PREPARATION ensure that you can competently manage a wide range of these common recruitment assessment tools that often prevent even the most suitably qualified executive getting that ideal position. BOARD APPOINTMENTS are complex and need specialised assistance to develop your NED career. Let ACMA guide you through this detailed process and into your new board position. EXECUTIVE MENTORING SUPPORT SERVICE your career is a life long journey. Develop a long term relationship with an executive career management coach who can assist you on multiple aspects of your current situation and future career directions. Consistently making good career choices is a complex process that even the most experienced CEO can get wrong with disastrous consequences. If you want to make a difference in your life and in your future career, call us and let’s talk about how to make your career development or job search effective, both personally and financially. All program services can be delivered via our interactive online cloud based career management system and/or "one-on-one" in our Sydney, Brisbane, Perth or Melbourne offices.